Few bands in Nashville, let alone the rest of the country, have been as busy or productive as PUJOL has in the last year or so. The bad boys latest work, Nasty, Brutish, and Short, is slated for release in a couple weeks. 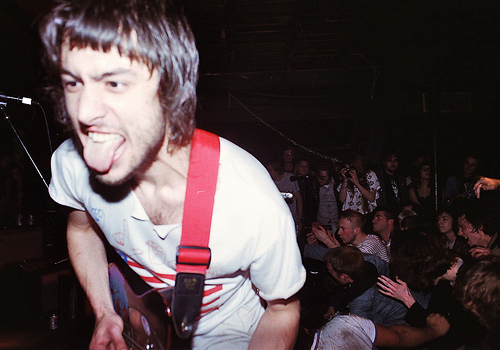 It’s PUJOL’s debut release on Saddle Creek Records and we’re gonna have a couple parties to celebrate it’s release. The first one will be on October 14th at everyone’s favorite Grimey’s New & Pre-Loved Records. 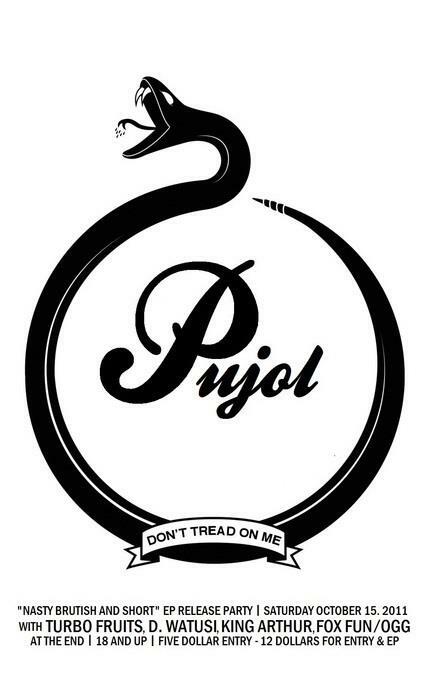 PUJOL and co. will do the in-store bit and – as always – it’s free and all ages [Bring the kids, babies love PUJOL. He speaks the language.] The following night [Oct.15] they’ll grace the stage over at The End alongside Turbo Fruits, D. Watusi, King Arthur, and a split set of Fox Fun and OGG. That one will run you five bones [or you can pay $12 and get admission along with a copy of the new EP] After seeing PUJOL at Third Man during the SoundLand festival, we feel confident saying that their game is as tight as ever. We bet even Hobbes would dig. Time to rock and roll with your buddies. See you there.